There are so many things about fall that are depressing to me.Putting away summer clothes and shorter days are at the top of my list of things I hate . 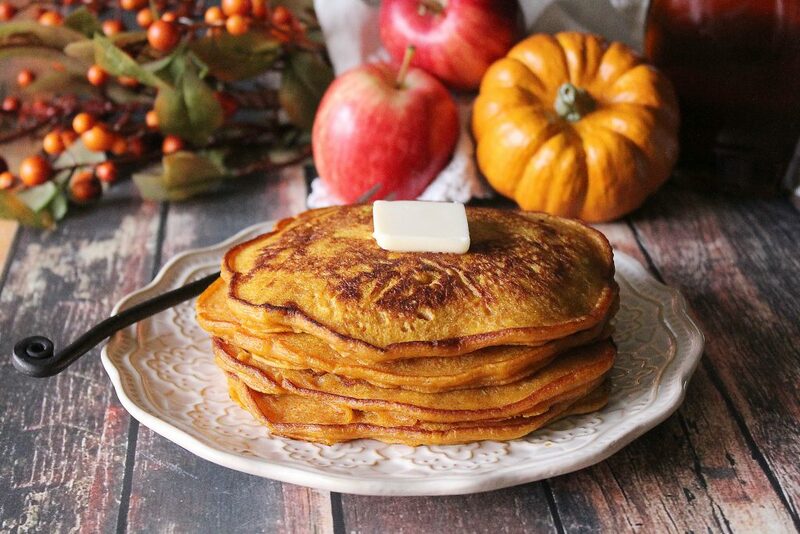 Now , lets talk about things I love..all fall foods. The aroma of cinnamon and nutmeg are just intoxicating to me. Let’s face it I love bonfires and hoodies but it is all about the food for me. Give me pumpkin spice, baked apples , cozy warm drinks and I am in heaven. 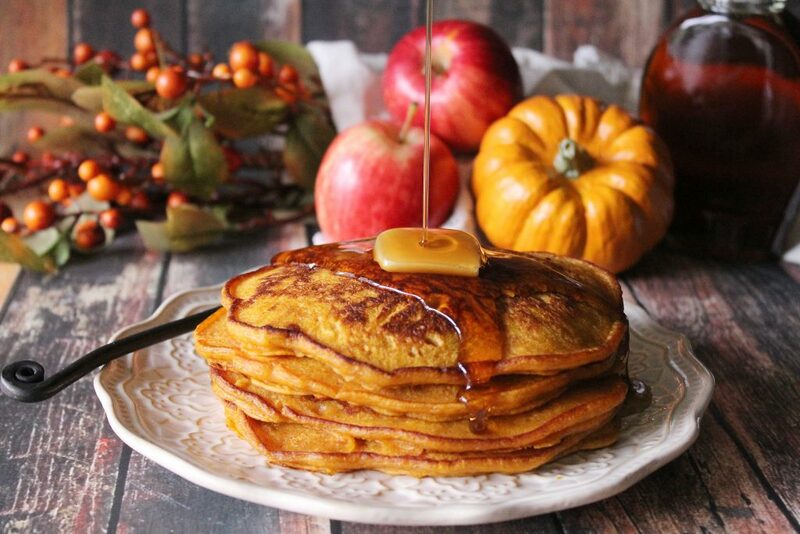 These Spiced Pumpkin Apple Pancakes have everthing about fall I love. 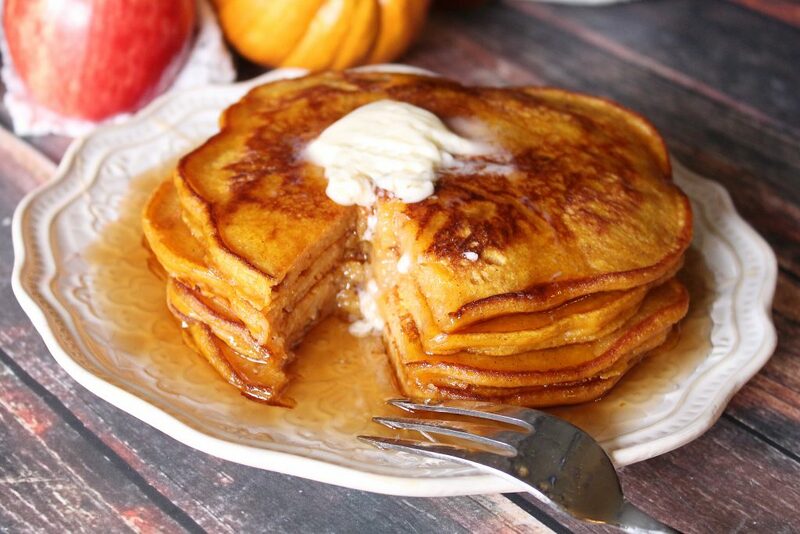 They are full of spices , pumpkin , apples and are the perfect way to start your day. As much as I love everything pumpkin , I just adore baking with apples. Another one of my favorite recipes for fall is Apple Bread with Cream Cheese Filling , it is great for breakfast or just to snack on. In that bread I mentioned the apples are in chuncks . For these pancakes I decided to grate the apples so they would be super fine and the results were perfect. These are my new favorite pancakes!! To start off making these super yummy fall nuggets grate your apple of choice, I used my favorite apple a Honeycrisp. Heat the butter up in a small skillet and add the apples, sugar and cinnamon. Let the apple mixture simmer for about 5 minutes or until the apples are tender. While the apples are cooking mix all of the dry ingredients in a medium mixing bowl. In a large mixing bowl whisk together the buttermilk, eggs, sugar, pumpkin , sugar and vanilla. Add the flour mixture to the pumpkin mixture a little at a time mixing well as you go. Once all of the dry ingredients are incorporated add water a littel at a time until you like the consistency, I used about 3/4 cup. Now fold in the cooled apples. Cook the pancakes using a 1/2 cup scoop in a buttered skillet. 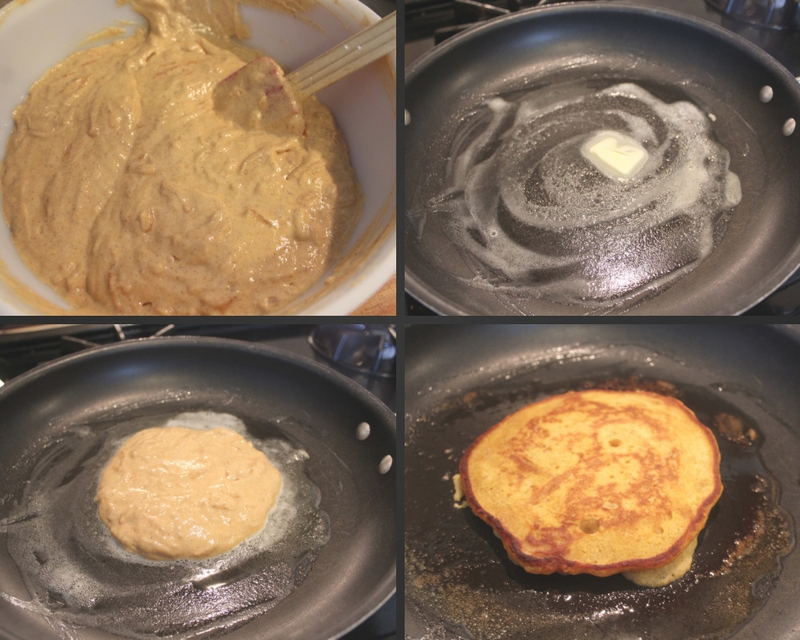 Serve with butter and warm maple syrup and ENJOY!! 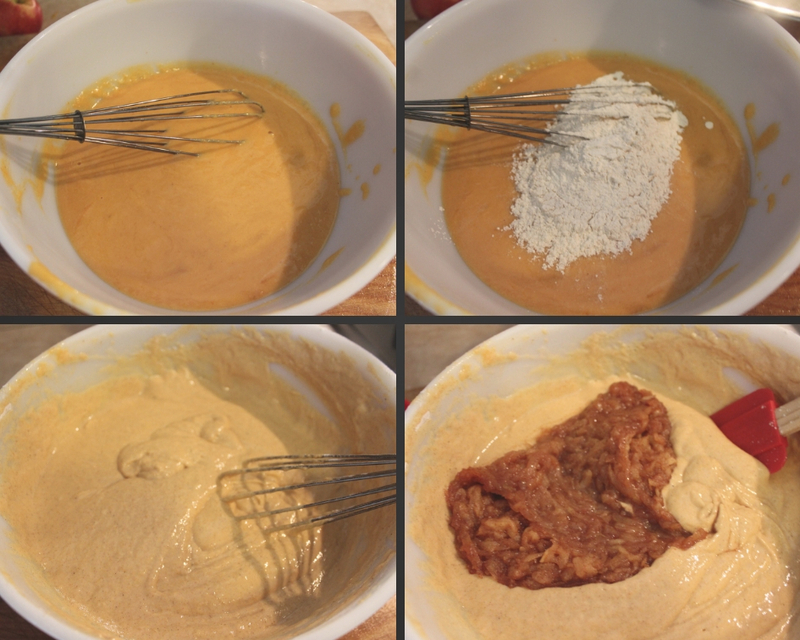 In a large mixing bowl whisk together buttermilk , pumpkin, eggs, vanilla and sugar. 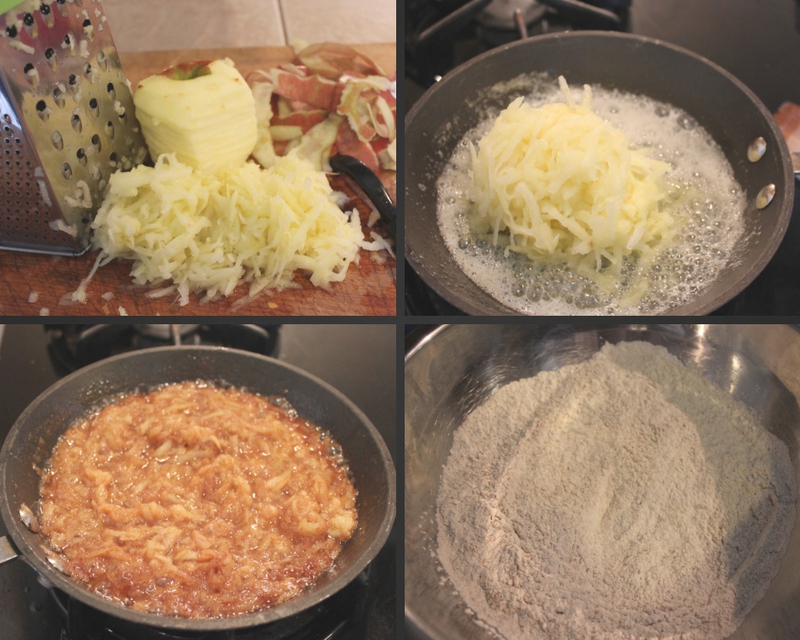 Add the dry in ingredients to wet ingredients a little at a time and mixing well. Thank You Lacy for including my pancakes ! !